Deck repairs just in time for our next Deck Party! 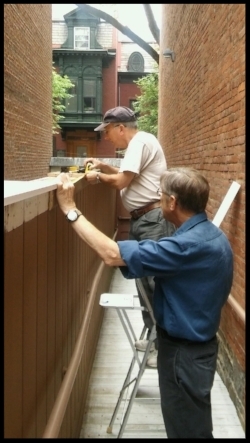 Thank you to our volunteers, John Kelly & Steve Muller, for coming on multiple days to repair our deck! See everybody at our Deck Party on the 8th! Get your Tickets for our August 8th Deck Party by clicking HERE!